Our first article explains a little bit about the move, but more important to some of you is probably the announcement of our new Apple Watch tutorials and Subscription option. Its been a fun ride here at WordPress.com, but everything changes eventually right?! See you at the main site. Xcode, Flash, and an Apple Watch? Whats up with that? And if you dig this one, be sure to check out the other platform art by this artist. Build 1.12 of the Fantastic Worlds iOS Starter Adds More Classic Game Goodness. Alright, I’m pulling the “It’s Official” lever on Build 1.12 of the Fantastic Worlds iOS Starter Kit, and I think all of you loyal buyers will agree the common theme here is classic games! The first big feature this build is Scoring! You can now track the current score and high score for anything. The kit has always had the option to add up XP, In-Game Currency, and an unlimited number of inventory items. The inventory system could have been used to track something as simple as a score, but it also would have involved displaying an item in inventory to do so, which just doesn’t make much sense for some games. So we’ve now got a very simple Score system in the kit. You can score anything too. Typical score keys (e.g. variables) might be something like AllEnemiesHit or a specific thing like EnemyMissilesHit. Or you can score items as they are collected, which again, lets you bypass the inventory system. So your score key might be DiamondsCollected. Whenever you set an object to add an amount to a particular score key, the kit will also check to see if the current amount of the score is higher than the highest score ever for that key. So optionally, you can display a text label for both the current score and high score. Each level can also clear the current score or clear the high score. The second major feature this build is Automatic Advancing of Levels, without having to walk into a portal to do so. Previously you might have to collect 8 diamonds to open a portal and leave the level. Now you can simply collect the 8 diamonds. You can also advance levels with a certain amount of Score. And if you want to send the player to a menu instead of the next level, you can do that as well. This could be a shared menu that always occurs between levels (to display the score or whatever), in which case you can also add a NextLevel and NextPortal property, and use a button to go to the next level achieved. The third major feature this build is Automatic Game Over properties for Objects. Right now we have 4 location based properties to automatically kill off the leader player. So if a particular object goes above or below a value on either the x or y axis, this will end the level. Think Space Invaders, if they get low enough, the game is over. In lesser “What’s New” news, we’ve got a new level array to automatically add inventory to the level, appropriately titled AddInventoryFor. This is really useful for adding either weapons or entire characters to the inventory at the beginning of the level. So for example, you might start with Mario, but be able to switch to Luigi or Princess right away. The CarryMultiplier property has moved it’s way from obscurity to essentially being required for objects that carry the leader. Does all that sound interesting? Check out the official iBook documentation for the kit here, and check the What’s New section or Version Notes section for details on each new property. War Machines – New Game Art Pack! So I’m pretty darn excited about our latest package over at GameArtPartners. To say the least. The first of three War Machine game art packs not only includes vector art in both Flash and Illustrator formats, but also has animated PNG sequences in 1x and 2x formats. 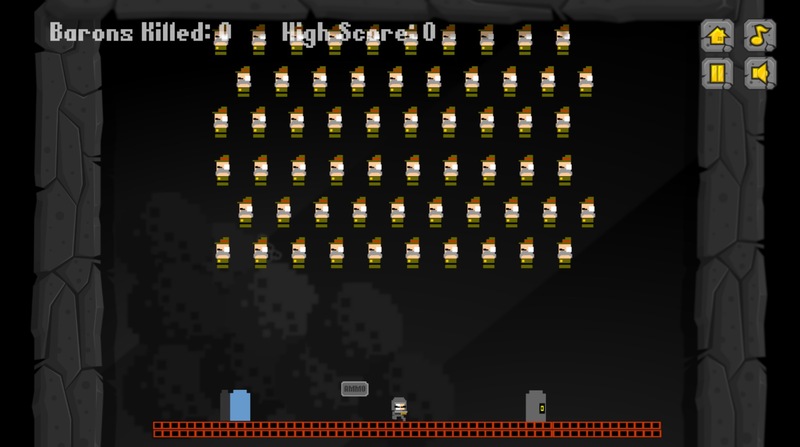 So for you game developers, you’ll have no problem making use of these sprites right away. The animations have even been saved in .atlas folders, which you Xcode users of course know makes it one step easier to make these usable in your iOS apps. And since I had a little hand in animating and exporting these (and setting them up in Flash), I went ahead and created property list files that are easily importable into CartoonSmart’s iOS Starter Kit. Which brings me to this, a little demo video of the art in action…. New 2D Platform Game Art, who doesn’t love a good Egyptian-themed level!? Hot off the press we’ve got a new set of platform game art, The Egyptian Template Platformer Tileset. This one comes from one of our rising stars at Game Ar tPartners, Franco, dab Simirk Graphics (that links to all his art so far). As many of you know, I’m a vector-art guy, perhaps even an aficionado of all things vector, but I love his hand-painted style. These are really beautiful pieces and if any of you game developers are listening, a nice crispy game character will look great playing through these. Cartoons look terrific with hand-painted backgrounds. And this set is royalty-free (but not free =) ! Thats the news for now! 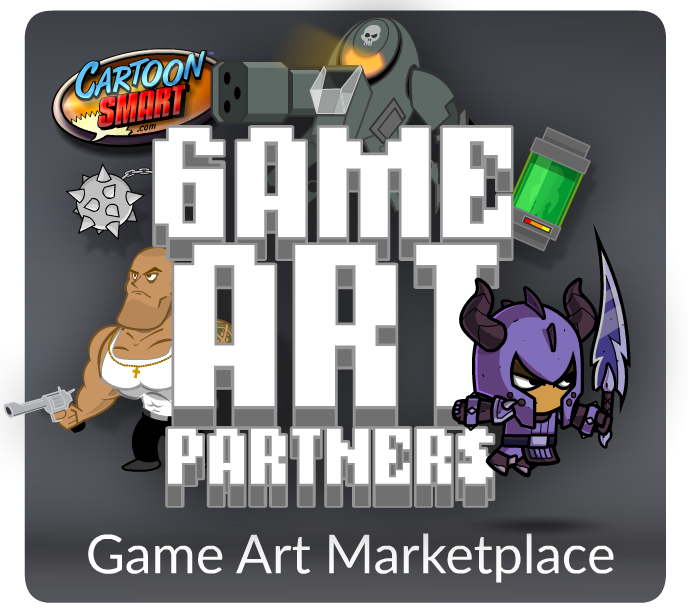 GameArtPartners has a new platformer game art package and it’s FREE! *These files can be used with the Fantastic Worlds iOS Starter Kit to play this level within minutes of downloading. Buyers of the kit can simply drag and drop in most elements and copy properties from the plist to play the level almost instantly. What’s this now, a podcast interview with yours truly! 90 minutes of me NOT teaching? !